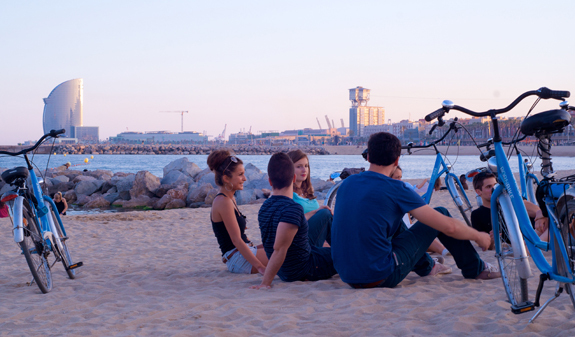 We invite you on this guided bike tour of Barcelona's seafront. 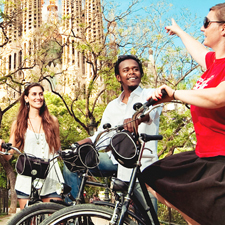 Our English-speaking expert guide will tell you everything you need to know about the area and the sights along the way so you can enjoy the tour to the full. 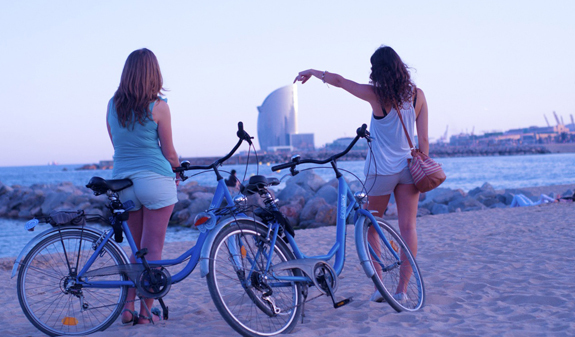 Because happiness is a bike ride along the shore… this is a tour you just can't miss! 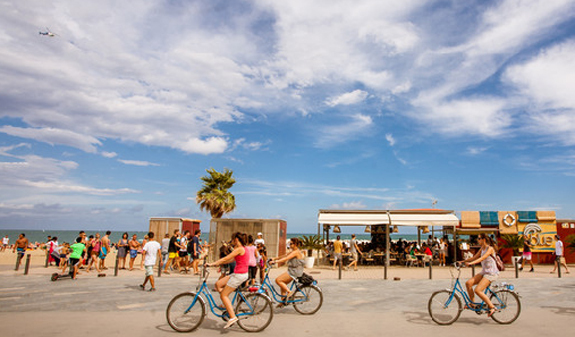 Barcelona is a city that has the sea in its DNA. This guided tour will show you the maritime aspects of the city, starting at the old harbour, the Port Vell, an integral part of the city where history blends with modernity. 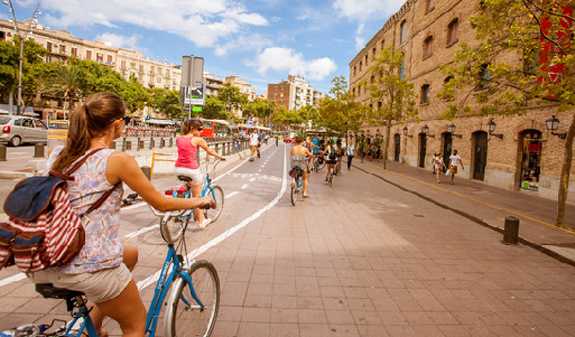 The three-hour cycle route, in English, will take you through the Barceloneta, the old fishing and sailors' quarter which still retains the aroma of salt and maritime atmosphere and has one of the liveliest beaches, both day and night. You'll continue through the Olympic Marina, built for the 1992 Olympic Games, with its two iconic towers and vast copper 'Goldfish' as its centrepiece. 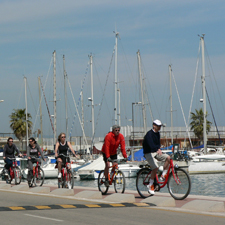 As you cycle along the city's beaches, you'll come to the Forum site… and on the way back you'll discover the Poblenou district, the city's industrial powerhouse in the 19th century, where the industrial past and technological present coexist alongside major educational facilities and creative spaces. Finally, after you've been through the Olympic Village, you'll come to the Parc de la Ciutadella, the end of the route where you'll be able to relax on the grass. 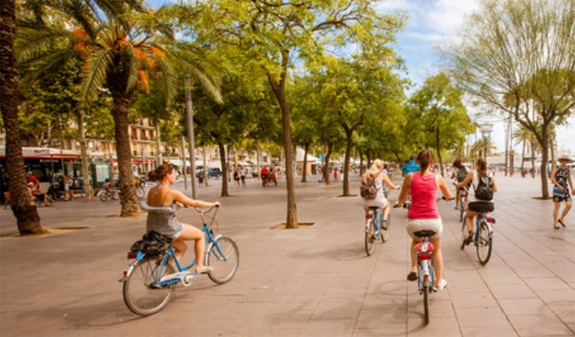 A truly cultural experience and adventure to discover the history and development of Barcelona's waterfront and harbour, its lively beaches and spectacular infrastructures. Times: tours run daily at 11am. 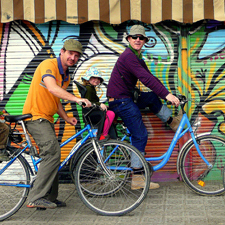 Meeting point: Born Bike Tours Barcelona, carrer de la Marquesa 1. 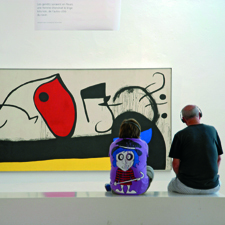 Metro L4, Barceloneta stop. Buses: 14, 39, 59, 64, D20 and H16. Free for children under 22 kg with chair. Groups of four people or more can request other languages by phoning 932 853 832.